Monchi Still Interested in Malcolm? Monchi Still Interested in Malcolm? Corriere dello Sport wrote: "Monchi is evaluating the situation, but it is very difficult that an agreement can be realized. The only formula that can get Malcolm is a loan, with Blaugrana willing to pay 40% of the salary (5 million per year)"
As this news released, last summer transfer the player already agreed to join Roma, but in last minute of transfer window he chose Barcelona instead of Roma. 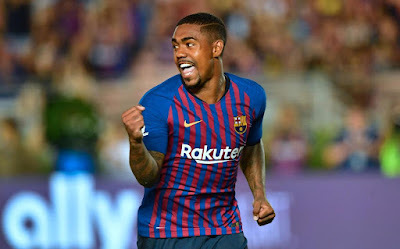 Malcolm hardly play with Barcelona because he cannot compete with Filippe Coutinho. For that reason he upset and want to move to other club.